Where were you on 9/11? Those of us who lived through that day will always remember where we were when we first heard that a plane had struck the World Trade Center. We were also witnesses to the event’s subsequent exploitation by politicians and commercial interests; who can forget the vendors that quickly popped up at Ground Zero, or the ghoulish and fraudulent TV ads for commemorative coins struck from silver retrieved at the site? These co-options are a rebuke to the experience itself, a flattening of its many layers into distorted, if more easily transmissible, sound and image files. 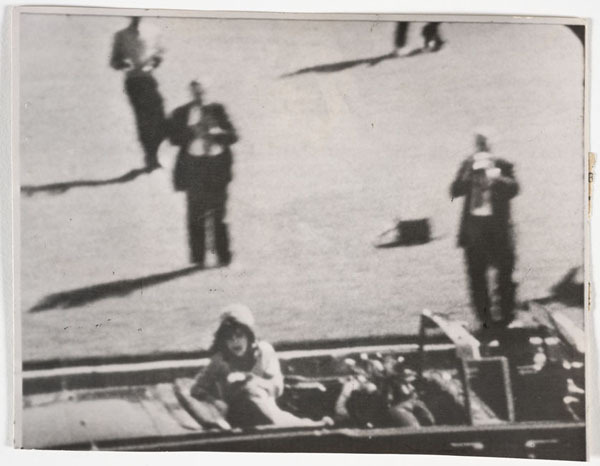 Where were you when you heard that John F. Kennedy had been shot? If, like me, you belong to a younger generation, your answer to that question is probably less straightforward. Maybe you learned about it from an episode of Quantum Leap, from Oliver Stone’s JFK (1991), or from Don DeLillo’s novel Libra (1988), in which case the Kennedy assassination is entangled in your mind — as it is in mine — with the conspiracy theories that proliferated around it. The event feels distant, hopelessly mediated, steeped in uncertainty. And yet, what artists who lived through the assassination have shown us is that these conditions pertained even then, in the months and years following November 22, 1963. 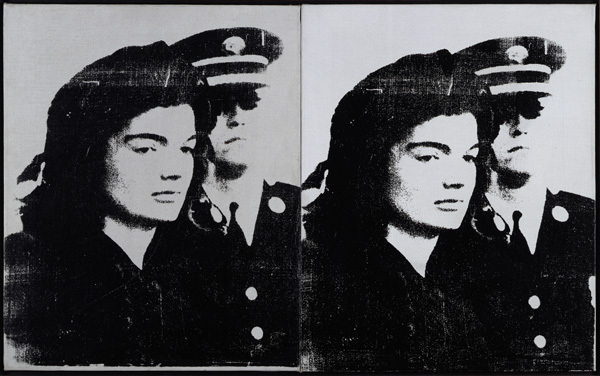 Andy Warhol’s elegiac portraits of Jackie Kennedy make similarly effective use of found imagery and photographic reproduction. In an extension of Warhol’s familiar practice of interrogating the nature of celebrity through a manipulation of its codes of representation, they commemorate the president’s death through the life of one he left behind, and challenge us to find presence in absence and vice versa. In attempting to understand the profundity of Heinecken’s “Kennedy?” those of us too young to remember that event might ask our own version of the question: “9/11?” The answer, Heinecken, Warhol, and Conner seem to suggest, won’t be found in the kind of media hype that has accompanied the fiftieth anniversary of Kennedy’s assassination this month. Instead, we might turn to the many living witnesses and ask what it meant to them. Rachel Federman is an assistant curator of painting and sculpture at SFMOMA.